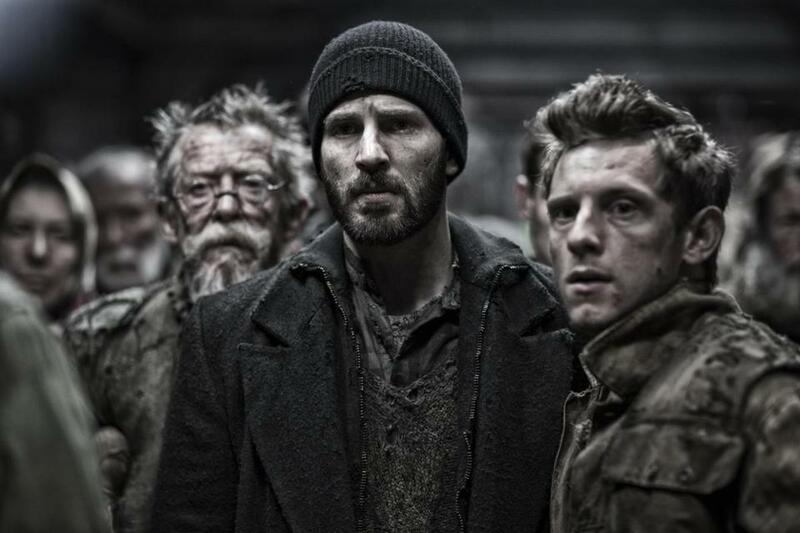 The sci-fi movie “Snowpiercer” went on- demand two weeks after its theatrical debut, raking in $5 million in three weeks. Seen a good movie lately? Chances are it wasn’t in a movie theater. The way Americans take in filmed entertainment has been undergoing a sea change. Although box office for October was healthy, the movie exhibition industry is still struggling to get out from a woeful summer in which revenues were down 15 percent. The expected excuses — rising ticket prices, seasonal competition from the World Cup, too many sequels and remakes (too many of which stank) — don’t disguise the fact that something bigger is happening. Video on demand is the way most people watch movies now: at home with a flick of the remote, on laptops or smartphones with the tap of a finger, renting or buying films through their cable on-demand menus, through subscription services like Netflix, or via iTunes or Amazon Instant Video. In 2013, according to the movie and TV tracking company Rentrak, “electronic sell-through” — movies and TV shows ordered On Demand — constituted a $1.18 billion business, up 46 percent from the previous year. Subscription-based services such as Netflix saw a jump of 36 percent, to $3.2 billion. By 2018, video on demand, or VOD, is expected to be a $45 billion market. What’s more, the home screen is slowly becoming a staging area for bigger movies. When the Weinstein Company released the critically acclaimed art house sci-fi allegory “Snowpiercer” on demand two weeks after its theatrical debut, the digital box office was $5 million in three weeks, versus $4 million in six weeks for brick-and-mortar theaters. Adam Sandler has a deal to take four films straight to Netflix. The major multiplex chains have traditionally reacted to any film hitting the digital market less than 90 days after its theatrical release with outraged PR blasts and boycotts. But the landscape is tilting, in part due to risk-taking, cash-flush players like Reed Hastings, CEO of Netflix. The company stunned the entertainment industry about a month ago with twin announcements. The first was an agreement with Weinstein to release “Crouching Tiger, Hidden Dragon: The Green Legend” in 2015 to Netflix subscribers on the same day the sequel to the 2000 martial arts hit opens in IMAX theaters. Even though the four biggest multiplex chains reacted by announcing a boycott of the movie at their 262 IMAX screens, that still leaves 156 independent IMAX venues, enough to make a point. Even more startling was Netflix’s second announcement, a deal with comedian Adam Sandler for four feature films, produced by the star’s Happy Madison company and going straight to Netflix — no theaters necessary. The mediasphere was immediately abuzz with catcalls: Sandler’s on a career downswing, his films are junk anyway. Junk they may be, but they can still reach a huge audience: “Grownups 2” made $133 million earlier this year. Dumb movies, smart move. So was Time Warner’s decision, announced Oct. 15, to introduce a stand-alone streaming HBO service. Now you will no longer need to pay your cable company for a premium HBO subscription to watch “Game of Thrones,” “Girls,” or all the service’s movie offerings. The next day, CBS announced its own subscription streaming service. Just a few days later, Lionsgate announced a deal with Robert De Niro’s Tribeca Enterprises to launch a new streaming service, one that will likely feature high-end indie films and titles that have played the Tribeca Film Festival. The revolution in home entertainment, in which we binge-watch TV series until they seem like one long telenovela, or cruise YouTube and other sites for short-form laughs, is transforming our patterns of consumption, and the content corporations are racing to keep up. Even Facebook is getting into the game, announcing a series of short films based on the “Twilight” movies. The brand is king; where you access it doesn’t really matter anymore. Where does that leave the movies, a medium that has held on for over a century, through the arrival of sound, television, and the Internet? It depends on what kind of movie you’re talking about. Big studio tentpoles — superhero movies, youth comedies, high-profile dramas — almost always arrive first in theaters and have to wait 90 days before appearing on your home or mobile screen. A smaller, smarter art-house film can follow the same pattern or, increasingly, arrive on demand for your home screen the same day it opens theatrically in the premier markets — a one-two punch known in the industry as “day-and-date.” Below that category is a crowd of films that are too commercially marginal to find a toehold in theaters and now clutter up your On Demand menu: low-budget horror and crime, foreign-language films, bad movies featuring name stars, micro-indies. There’s little or no curation involved; home viewers are often left to separate wheat from chaff on their own. If VOD continues its advance, all that may be left for the multiplex chains are the major franchise properties: Comic book heroes like the Avengers, young-adult series like “The Hunger Games,” and anything that involves the destruction of a major American city in 3-D. The chains will be our national Circus Maximus; they’re halfway there already. If VOD continues its advance, all that may be left for the multiplex chains are the major franchise properties. Some art houses have cut piecemeal deals: The Landmark chain, which includes the Kendall Square Cinema and Waltham Embassy, plays day-and-date releases from Magnolia (owned by Landmark head Mark Cuban) and one other distributor, while boycotting such films from others. (Landmark executives declined to comment for this article.) Other local venues take it case by case, recognizing that when a film opens simultaneously on demand and in theaters — or even six weeks earlier, a practice called “Ultra VOD” — distributors aren’t willing to spend promotional dollars to attract moviegoers. And that really hurts, both movies and audiences. Connie White, a longtime programmer at the Coolidge Corner Theatre in Brookline and an indie-industry lifer whose company, Balcony Booking, books art-house cinemas around the country, considers day-and-date titles “a little tainted.” “It’s not that they aren’t good films — the films themselves are often quite good,” she adds. “But the fact that they’re going VOD gives them another strike against them when we’re trying to consider what to play. And the distributors are not putting the same oomph behind it. They’re not hiring the same PR companies, they’re not buying ads, whether print or online.” If major indie distributors like Fox Searchlight and Focus and Sony Classics started going day-and-date with their films — which may be just a matter of time — “we’d be bummed,” White says. If the Coolidge, one of the country’s premier venues for independent film, is having trouble beating back the VOD wave, imagine what the small commercial chains and mom-and-pop art houses are facing. Everything seems in flux, from the increasingly nervous multiplex corporations to the unpredictable release strategies of the indie exhibition market. Why did “Listen Up Philip,” a low-budget drama starring Jason Schwartzman that picked up ecstatic notices on the festival circuit, open in Boston last week at the Museum of Fine Arts rather than a commercial venue? When Boston film lovers can dial up “The One I Love,” starring Elizabeth Moss of “Mad Men,” two weeks before it opens in local theaters, why bother with the big screen at all? And what happens when the dwindling audience still dedicated to seeing a film on the big screen — instead of the glowing rectangle in their home or hand — ages out? It’s hard not to wonder if the experience of watching movies as we’ve known it for over a century has finally begun its final slow fade.